Founded by the same team that pioneered Retail Price Optimization at Khimetrics, Engage3™ combines data science, deep domain expertise, and innovative technology to be a leading competitive intelligence provider and consumer science company. 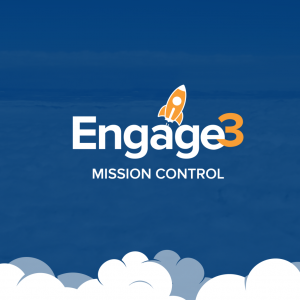 Engage3’s omni-channel competitive intelligence SaaS platform, MissionControl™, improves CPG companies’ competitive visibility and maximizes their ROI. MissionControl™ is powered by advanced predictive analytics and Engage3’s historical product and pricing database, which consists of over 8 million UPCs and 10 billion price updates per year across over 32,000 retail locations. The platform leverages digital assistants to enable true 1-1 offers that improve the ROI of trade funds 4x over traditional promotions and help retailers & brands transition to this competitive future of personalized pricing. including, Albertsons, Safeway and Lowes. They formed Engage3 to revolutionize retail through big data and advanced analytics to uncover the consumers’s intent-to-buy as the foundation for offer optimization. Engage3 is recognized by IDC Retail Insights as a first mover in providing participatory commerce solutions for retailers and manufacturers via its Consumer Engagement and Personalization Platform. International Data Corporation (IDC), the premier global provider of market intelligence for the information technology, telecommunications and consumer technology markets, cites Engage3 as an important innovator in this emerging market. The report, IDC PlanScape: Health Hearth Personal Services Web – Transforming Lives and Industries, analyzes how consumer personal technologies and the new mindset of mainstream millennialism (“their best experience anywhere sets their minimum expectation everywhere”) will impact food shopping and nutrition. Engage3 is powering innovative new solutions to these problems by harnessing big data and advanced analytics. The retail industry is going through a massive transformation that is being driven by higher expectations from consumers and a changing landscape for retailers and manufacturers. Manufacturers are desperately in need of a more effective trade promotions model. U.S. CPG manufacturers spend $200 B per year on trade promotions, and 74% of these promotions lose money (Nielsen). Retailers are struggling to adapt to price transparency and empowered consumers. Traditional Hi-lo and Everyday Low Pricing (EDLP) pricing models are becoming ineffective. Consumers expect transparency and want to know that they are getting the best deal. 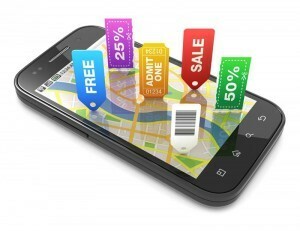 90% of consumers use coupons; 78% want coupons to be automatically applied (Inmar).